Are You attending Directions North America 2018 this September? Do not miss a chance to meet Simplanova team and attend our session. We will participate in Directions North America 2018. This year’s event takes place September 30 – October 3, 2018, Sheraton San Diego Hotel & Marina, CA. Directions North America is the only Microsoft Partner conference in North America where you can learn about Microsoft Dynamics 365 Business Central. This event is created for and by Dynamics partners servicing the SMB market. It brings together a wide array of specialists from SMB partners, ISVs, Service Providers and Microsoft, both within North America and beyond. Directions North America is the venue where Dynamics partners can collaborate, form alliances, and grow closer to each other — and Microsoft. 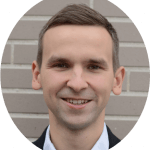 In this session Simplanova CEO Petras Butėnas will share the experience in upgrading heavily customized solutions with large databases from the pre-2009 versions of NAV. How to pick the right upgrade path: fresh start, as-is or smart ugprade option? The post Meet Simplanova at Directions North America 2018 appeared first on Simplanova.